BERLIN: Germany's justice minister is proposing fines of up to 50 million euros ($53 million) for social networking sites that fail to swiftly remove illegal content, such as hate speech or defamatory "fake news." The plan announced on Tuesday marks a further step in Germany's attempt to impose its strict domestic laws against incitement on the free-wheeling world of online chatter. Justice Minister Heiko Maas, a member of the center-left Social Democratic Party, said social media companies had already taken voluntary steps to crack down on hate crimes that have resulted in improvements. "This isn't sufficient yet," Maas said, citing research that he said showed Twitter deletes just 1 percent of illegal content flagged by users, while Facebook deletes 39 percent. Sites would also have to nominate a person responsible for handling complaints, who could face fines of up to 5 million euros personally if the company fails to abide by mandatory standards. Maas said the measures, which will become part of a bill to be put before Parliament, wouldn't restrict freedom of speech that already exists in Germany and there were no plans to create a "truth commission" against so-called fake news. But he noted that fake news could constitute illegal content "if it constitutes slander, defamation or libel." Facebook said it would examine the proposal. "We have clear rules against hate speech and are working hard to remove such content from our platform," the company said in a statement, adding it was working with the government to tackle the issue. However, Facebook said tests it commissioned showed higher rates of removal than those cited by Maas. 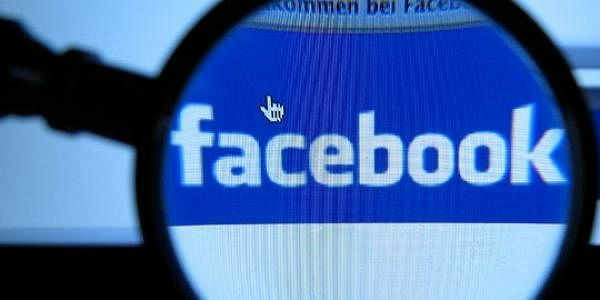 Facebook also said it had taken measures to train staff in how to deal with the legal situation in Germany and expects to have 700 people in Berlin examining flagged content by the end of the year. "The internet is awash with hateful content, a lot of which is incitement to hatred and violence. Currently, it often takes providers far too long to remove or block such content," he said. "It's important that the internet companies and politicians take this problem seriously, and we commend Germany for taking the lead on this. The proposal won't affect media outlets already covered by other German laws, said Philip Scholz, a Justice Ministry spokesman. A bill could go before lawmakers ahead of Germany's general election in September, though such a timetable was "ambitious," he said.